Sony is working on a ‘Jump Street’ threequel, 23 Jump Street. 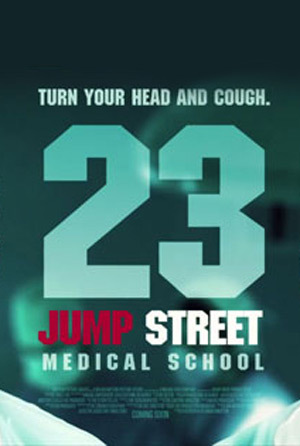 The studio has hired writer Rodney Rothman, who was one of the four credited writers on 22 Jump Street. Jonah Hill, Channing Tatum and Ice Cube are expected to return. Sony Pictures, MGM and Original Film are moving forward with the action-comedy sequel ’23 Jump Street’ with Rodney Rothman (22 Jump Street) returning to write the script. Loosely based on the hit ’21 Jump Street’ television series, the second installment grossed close to $320 million on a $50 million budget. In ’22 Jump Street’ officers Schmidt (Jonah Hill) and Jenko (Channing Tatum) go deep undercover at a local college to find the supplier of a new designer drug.